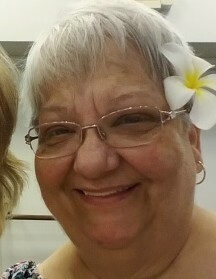 Debbie Sue Lathrop, 66, of Mt. Carmel, Illinois passed away November 20, 2018 at St. Vincent’s Medical Center in Evansville, Indiana. She was born on June 8, 1952 at Wabash General Hospital in Mt. Carmel , the daughter of James E. and Freda (Newkirk) Calverley. She graduated from Mt. Carmel High School in 1970. She continued her education at Lansing Community College, where she received her associate’s degree. Debbie met her future husband, Jerry, at Sunday school when she was four. The sweethearts married on Saturday, October 7, 1972, at the First Christian Church Disciples of Christ in Mt. Carmel. They had a great life together. She was a lifelong member of the First Christian Church Disciples of Christ. She served as church deacon. Debbie spent her life working as a secretary and the last fifteen years for First Christian Church Disciples of Christ. She was a member of Beta Sigma Phi and Eastern Star. She was Past Honored Queen Job’s Daughters Bethel #74. Left to cherish her memory are her children, Karissa and her husband Clinton Anderson, Douglas and his wife Kathie Lathrop, all of Mt. Carmel and Matthew Lathrop and Fiancée Danielle Daniel of Grayville; grandchildren, McKinnon Anderson, Connor Anderson, Brennan Lathrop, Rhiannon Anderson, Shaleea Bratcher, Colin Lathrop, Keagan Lathrop, Myra Lathrop and Asher Lathrop. Preceded in death by her husband, Jerry; parents, James and Freda; sister, Barbara Kehoe. Friends and family are welcome to visit with the family on Friday November 23, 2018 from 5:00 to 8:00 p.m. in the Chapel of Short Funeral Home. Funeral service will be held on Saturday, November 24, 2018 at 10:00 a.m. in the Chapel of Short Funeral Home. Debbie will be buried next to her husband in Highland Memorial Cemetery. Memorials can be made to The First Christian Church Disciples of Christ. Memorials envelopes will be available at the funeral home. Short-Cunningham Funeral Home is honored to serve Debbie’s family.